A large asteroid that could someday be headed directly for Earth would pack a tremendous impact force 1,500 times that of the Hiroshima and Nagasaki atomic bombs combined, the newspaper Express warned. The British daily cites NASA sources as claiming that the space rock, measuring nearly 700 feet across, could have a staggering 62 different potential impact trajectories with Earth with each of them potentially able to set the asteroid on a collision course with us over the next 100 years. According to NASA’s Jet Propulsion Laboratory (JPL), asteroid 2018 LF16 was last spotted on 16 June with calculations showing that the space boulder could smash into our planet sometime before 2117. The first such scary encounter will come just five years from now, on 8 August, 2023 with other close impact dates being 3 August, 2024 and 1 August, 2025. 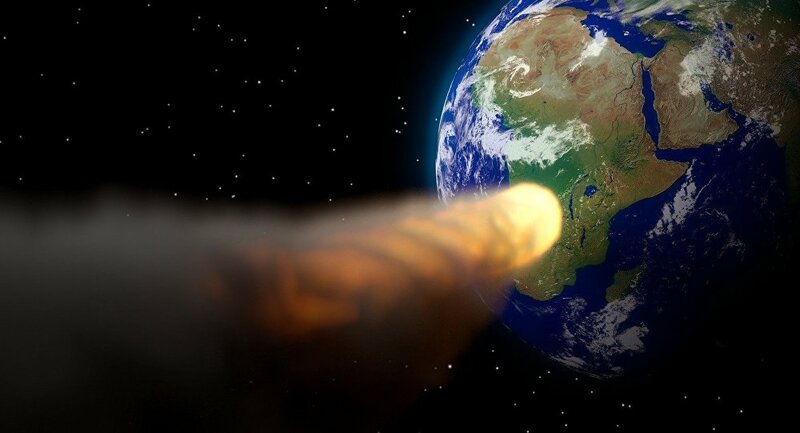 Even worse, the asteroid is currently hurtling through space at a speed of over 33,844 miles an hour. An asteroid this big would pack a tremendous impact force equal to that of the 57-megaton Tsar Bomb the Soviet Union exploded in 1961.